Creative people are able to think about things from multiple perspectives, tackle problems without the confines of tradition, and tend to be more willing to take intellectual risks. How can we, from an early age, foster the creativity that will help shape adults with all these skills? 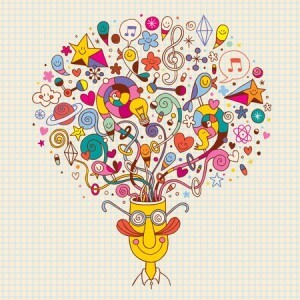 When we think of “creative people,” our minds often go to artists or dancers or musicians. But, people can be creative thinkers in ANY field. Creativity is essential for any field that requires problem solving, and really, are there any fields that don’t? Mathematicians, scientists, teachers, doctors and more must all have creative skills to be successful. Give kids freedom to explore and play. Structured activities serve a purpose and are often a great way to learn specific things. Free play, however, with no parameters other than safety, lead kids to invent and create in ways they don’t do with rules and instructions. Discuss open-ended questions. Ask them to share their thoughts about topics that don’t really have a wrong or right answer, and see where they go! This kind of thinking stretches them and gets creative juices flowing. Rather than a yes or a no, they get to explore hypotheticals and be imaginative! Focus on the journey rather than the destination. Goal setting is important, but getting there is where the learning and growing happens. When a task is done don’t just celebrate its completion, discuss where the challenges were, what was the most fun, and what you would do differently next time. Help kids be “well-rounded.” Don’t just focus on one area of interest. Try to get kids involved in a variety of activities including athletics, art, drama, science, reading and more. In addition to fun activities, work volunteerism and service into their schedules. With so many experiences, they’ll learn to look at life from a variety of perspectives, which will give new paths to their creative energies. There is no one way to raise a creative kid, and not all kids will be equally predisposed to think creatively. But, hopefully some mindfulness and guidance from parents will foster the creative development that will help your kids grow up to be great thinkers and problem solvers!